When staff members are motivated, they take higher ownership of customer issues, are more productive, and have better job satisfaction. 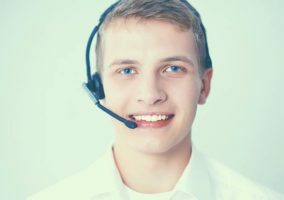 Let’s look at some of the ways that contact centre management – and businesses in general – can motivate their staff and foster a heightened sense of morale. Back in the day, I worked in a call centre as a customer support representative for a major automotive manufacturer. As you can imagine, people reach a high level of frustration rather quickly when it comes to their vehicles. As agents, we were given a goal of handling a certain number of callers within a designated period of time. That put a lot of pressure on the agents, giving us few breaks, and making us feel that making our numbers was more important than helping the customers contacting us for assistance. For today’s contact centres to achieve a high level of effectiveness and keep their employees motivated, they need to keep the focus on resolving issues and retaining customers. And employees stay motivated when they have the time and capability to genuinely help their customers and resolve their issues with as close to 100% satisfaction as possible. To accomplish this goal, management must empower agents with the ability to resolve issues in a way that is acceptable to customers and leaves them with a positive impression of the agent and company as a whole. Most people I interact with are motivated by their accomplishments and the anticipation of things they are looking forward to. People thrive with praise, and by setting goals and achieving them. Contact centre management can help create a positive working environment by giving out rewards for positive customer surveys or feedback. 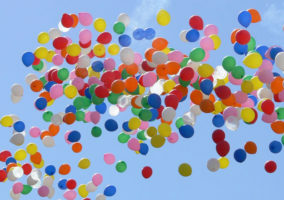 Celebrating birthdays and holidays are always welcome breaks that help rejuvenate employees and bring on a renewed and improved outlook to their workday. I can also recall being motivated by earning free merchandise as incentives when various goals were met back in my call centre days. And what better way to advertise your products or services than through your agents. Let them use company products or services at a complimentary or discounted rate so they are better educated on their use and can convey personal experiences and benefits to the end user. A key part of management that is too often left by the wayside is collecting feedback for job improvement from employees in the trenches. This can be accomplished through a Suggestion Box or by holding weekly or monthly round-table feedback sessions for improving customer service. Also, management might simply ask employees what motivates them. That way the prizes or rewards will be something they will value and be willing to strive for. When the average person sets out to handle a task or request, they typically have a clearly defined list of planned actions to take on their road to completion. And few things cause more frustration for employees than when they are given a list of tasks without any clear objective, reason or goal. Most people need to know the why of what they are doing and the end goal in order to realise the value behind what they are trying to accomplish. One tool that management can use when clarifying agent expectations is to record calls for training purposes and compare them against sample calls to improve quality and customer satisfaction. When expectations are clear, employees are less frustrated as they have clear examples of what to do or say and what not to do or say to help keep call outcomes positive. 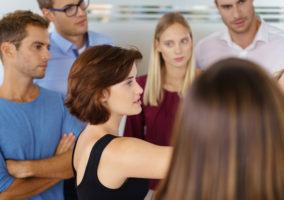 Also, at all times, beginning with initial agent training, team leaders should lead by example and demonstrate the tone of voice that’s appropriate, phrases that can help defuse difficult situations and show how to make customers feel truly valued. Sometimes, the larger goals of customer satisfaction – even when explicitly defined – can seem unachievable. Setting small goals that lead up to the larger goals will help show steady progress toward a goal that may appear daunting at first. Significant but attainable goals should be set by everyone on the team, and agents should be given reachable individual goals as something to strive for, with hopefully some kind of reward achieved once the goal has been attained. Part of what contributes to dissatisfaction on the agent side of a contact centre is the sheer boredom of feeling like you’re living the same day over and over again, like Bill Murray’s character in Groundhog Day. That kind of situation will either make you crazy or lead to complacency. To help alleviate this situation in the contact centre, scripts can be changed and desks or scenery can be varied to steer away from monotony – a productivity and positivity killer. Contact centres with omnichannel environments allow agents to use different interfaces with varying tasks through voice, email, chat and social media channels. These diverse modes of communication spark different parts of the brain and body, helping employees to switch gears and re-engage their interest. 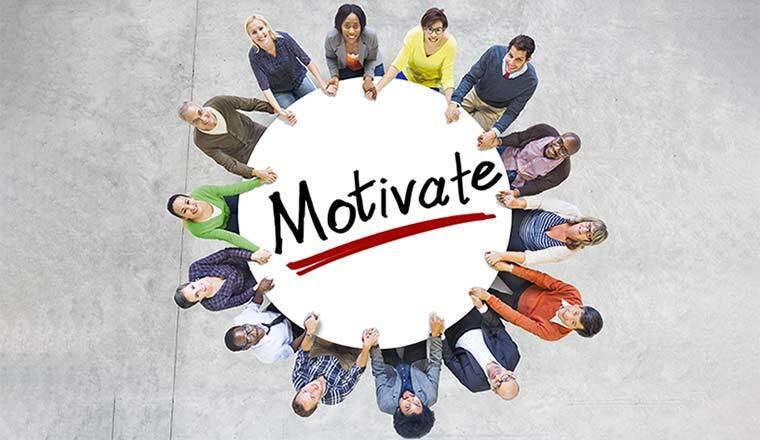 Employee motivation can also be increased through weekly or monthly contests that result in incentives or prizes. Others may get excited about fun dress-up or themed days that might include a special potluck or luncheon to keep things interesting. Additionally, just about everyone likes to learn new things or be challenged to think about familiar topics in a new way. Offering ongoing training helps keep employees engaged with renewed energy for their job. Obtaining new skills and new information can get them excited about what they have available to share, and who it can help. A fully integrated multichannel contact centre solution is what most customer service departments and support centres are looking for when seeking the best platform and tools for their agents. This includes deploying the best-fit software interfaces across a stable and secure network with completely unified systems. With the right tools in place – and goals that put the customer first while considering agent needs – everyone’s happier, agents and management alike!